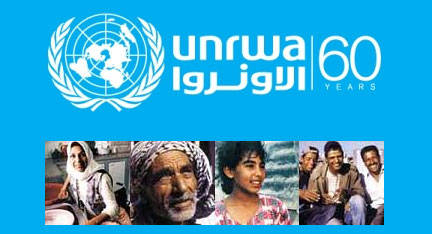 Perversely, UNRWA feted its 60th anniversary in 2009, as though this were something to be proud of. Worse: those alive in 1948 are dying off and in about fifty years not a single real refugee will remain alive, whereas (extrapolating from an authoritative estimate in Refugee Survey Quarterly by Mike Dumper) their fake refugee descendants will number about 20 million. Unchecked, that population will grow like Topsy until the end of time. This matters because the refugee status has harmful effects: It blights the lives of these millions of non-refugees by disenfranchising them while imposing an ugly, unrealistic irredentist dream on them; worse, the refugee status preserves them as a permanent dagger aimed at Israel's heart, threatening the Jewish state and disrupting the Middle East. Solving the Arab-Israeli conflict, in short, requires ending the absurd and damaging farce of proliferating fake Palestine refugees and permanently settling them. 1948 happened; time to get real. 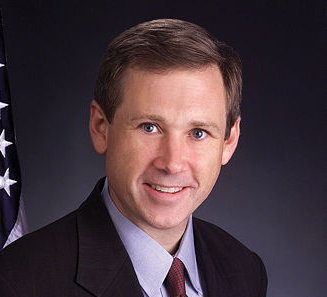 Senator Mark Kirk (Republican of Illinois), the force behind making long-needed changes to UNRWA. I am proud to report that, in part based on the work carried out by the Middle East Forum's Steven J. Rosen and myself over the past year, the U.S. Senate Appropriations Committee on May 24 unanimously passed a limited but potentially momentous amendment to the $52.1 billion fiscal 2013 State Department and foreign operations appropriations bill. The amendment, proposed by Mark Kirk (Republican of Illinois) requires the State Department to inform Congress about the use of the annual $240 million of direct American taxpayer funds donated to Palestine refugees via UNRWA. How many recipients, Kirk asks, meet the UNRWA definition cited above, making them real refugees? And how many do not, but are descendants of those refugees? The Kirk amendment does not call for eliminating or even reducing benefits to fake refugees. Despite its limited nature, Kirk calls the reporting requirement a "watershed." Indeed, it inspired what a senior Senate GOP aide called "enormous opposition" from the Jordanian government and UNRWA itself, bringing on what Foreign Policy magazine's Josh Rogin called a raging battle. Why the rage? Because, were the State Department compelled to differentiate real Palestine refugees from fake ones, the U.S. and other Western governments (who, together, cover over 80 percent of UNRWA's budget) could eventually decide to cut out the fakes and thereby undermine their claim to a "right of return" to Israel. 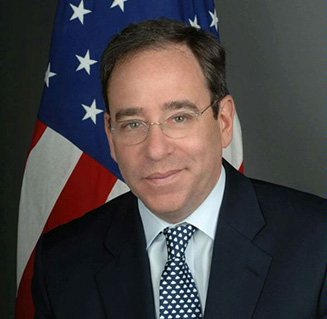 Deputy Secretary of State Thomas R. Nides, who is trying to maintain UNRWA's dysfunctional system. Sadly, the Obama administration has badly botched this issue. A letter from Deputy Secretary of State Thomas R. Nides opposing an earlier version of the Kirk amendment demonstrates complete incoherence. On the one hand, Nides states that Kirk would, by forcing the U.S. government "to make a public judgment on the number and status of Palestinian refugees … prejudge and determine the outcome of this sensitive issue." On the other, Nides himself refers to "approximately five million [Palestine] refugees," thereby lumping together real and fake refugees – and prejudging exactly the issue he insists on leaving open. That 5-million refugee statement was no fluke; when asked about it, State Department spokesman Patrick Ventrell confirmed that "the U.S. government supports" the guiding principle to "recognize descendants of refugees as refugees." Also, by predicting a "very strong negative reaction [to the amendment] from the Palestinians and our allies in the region, particularly Jordan," Nides invited Arabs to pressure the U.S. Senate, a shoddy maneuver unworthy of the State Department. Through all of Israel's 64-year existence, one American president after another has resolved to resolve the Arab-Israeli conflict, yet every one of them ignored the ugliest aspect of this confrontation – the purposeful exploitation of a refugee issue to challenge the very existence of the Jewish state. Bravo to Senator Kirk and his staff for the wisdom and courage to begin the effort to address unpleasant realities, initiating a change that finally goes to the heart of the conflict. Related Topics: Palestinians, US policy | Daniel Pipes receive the latest by email: subscribe to the free mef mailing list This text may be reposted or forwarded so long as it is presented as an integral whole with complete and accurate information provided about its author, date, place of publication, and original URL.